The Kepler space observatory is the first NASA mission capable of finding Earth-size planets in or near the habitable zones of stars. Launched in 2009, Kepler has been detecting planets and planet candidates with a wide range of sizes and orbital distances. Yes, we are finding new planets. 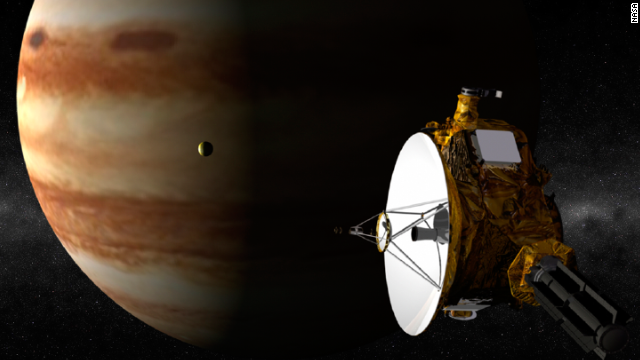 No probe has ever gone to Pluto, but New Horizons aims to change that. The craft, launched in 2006, is set to arrive at the solar system’s tiny former planet in June 2015. The image here depicts New Horizons sailing past Jupiter. Dawn is designed to orbit the protoplanet Vesta and the dwarf planet Ceres — the two most massive bodies in the main asteroid belt between Mars and Jupiter. The mission, launched in 2007, will provide scientists with new knowledge of how the solar system formed and evolved. 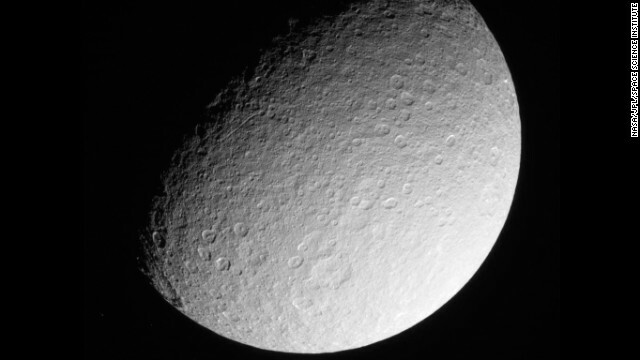 Dawn arrived at Vesta in 2011 and will orbit Ceres in March. 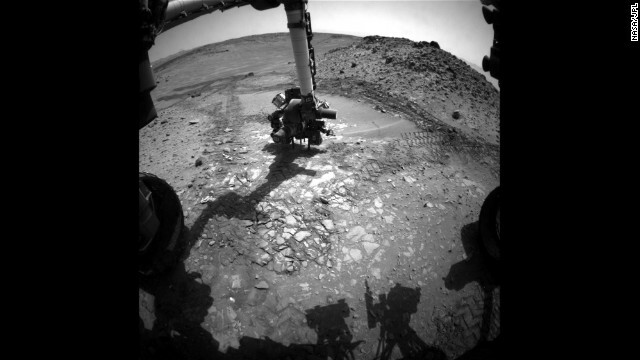 This image shows the Curiosity Mars rover doing a test drill on a rock dubbed “Bonanza King” to see if it would be a good place to dig deeper and to take a sample. Curiosity is the most advanced rover ever built, and is seeking to see if Mars is, or ever was, habitable for life forms. This image was taken on March 10, 2013, by NASA’s Cassini spacecraft. Launched in 1997, the probe is orbiting Saturn and its numerous moons. Cassini has provided new understanding, not to mention breathtaking photos, of that corner of the solar system. 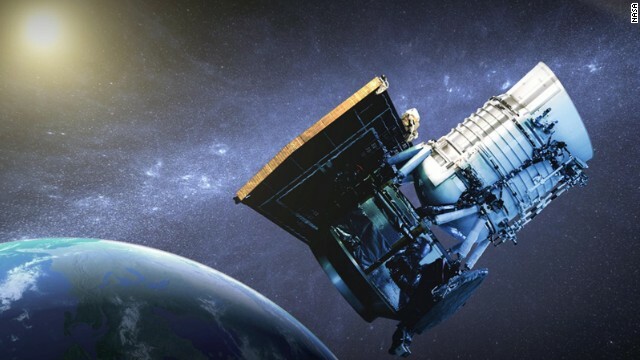 NEOWISE may be making us safer. 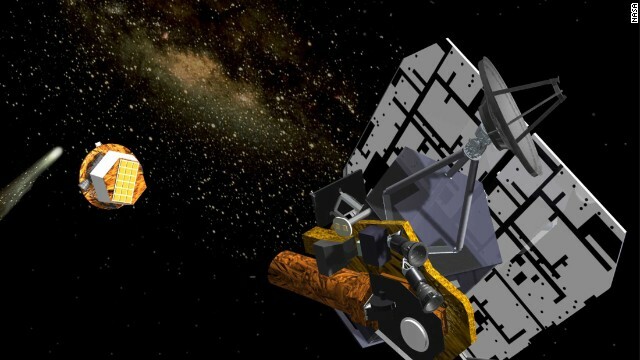 The mission uses a space telescope to hunt for asteroids and comets, including those that could pose a threat to Earth. During its planned three-year survey — through 2016 — NEOWISE will rapidly identify and characterize near-Earth objects, gathering data on their size and other measurements. An artist’s rendering of the Deep Impact flyby spacecraft releasing its impactor, 24 hours before the impact event, in July 2005. Pictured from left to right are comet Tempel 1, the impactor and the flyby spacecraft. The impactor was a 370-kilogram mass with an onboard guidance system. The flyby spacecraft included a solar panel, a high-gain antenna, a debris shield and instruments for high- and medium-resolution imaging, infrared spectroscopy and optical navigation (yellow box and cylinder, lower left). 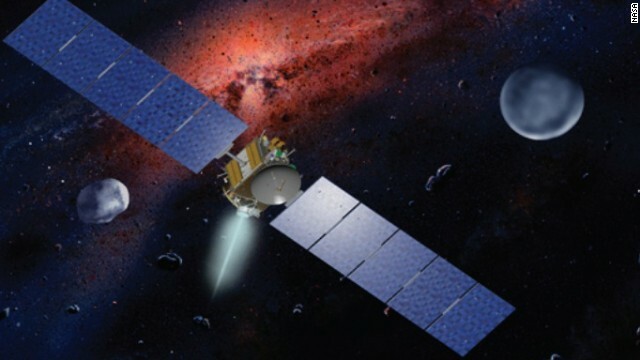 The Stardust spacecraft, shown in an artist’s rendering, was launched on February 7, 1999, from Cape Canaveral, Florida, aboard a Delta II rocket. 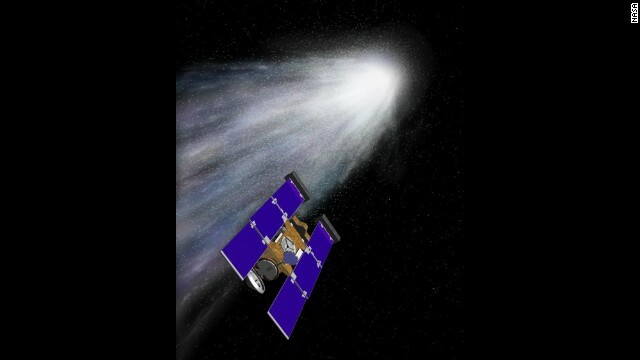 The primary goal of Stardust was to collect dust and carbon-based samples during its closest encounter with Comet Wild 2 (pronounced “Vilt 2,” named after its Swiss discoverer). 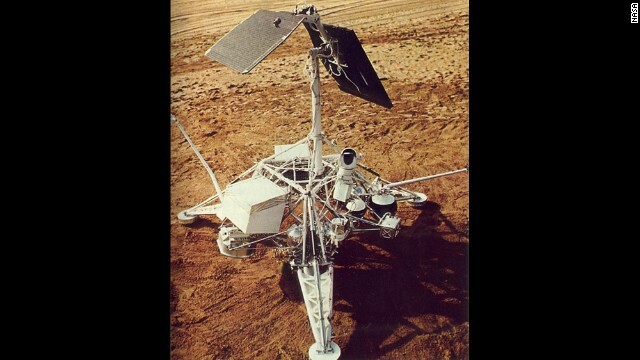 The Surveyor series of missions was the first U.S. effort to make a soft landing on the Moon. The missions tested the high-energy Atlas/Centaur rocket and new spacecraft design; two-way communications to control spacecraft activities from the ground; and a groundbreaking, elegant landing method, with three steerable rocket engines controlled by onboard radar. 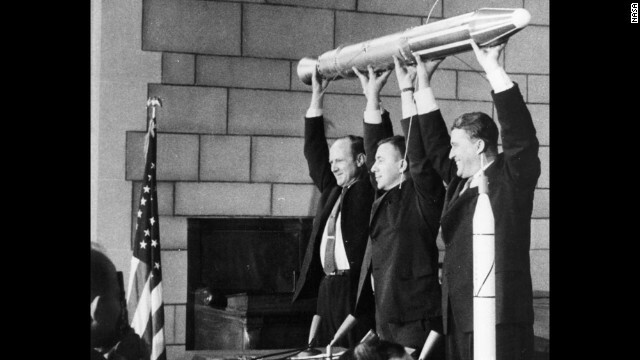 A model of Explorer 1, held by JPL’s Director William Pickering, scientist James Van Allen and rocket pioneer Wernher von Braun (from left to right). The team was gathered at a news conference at the National Academy of Sciences in Washington to announce the satellite’s successful launch. America’s first satellite had been launched a few hours before, on January 31, 1958. 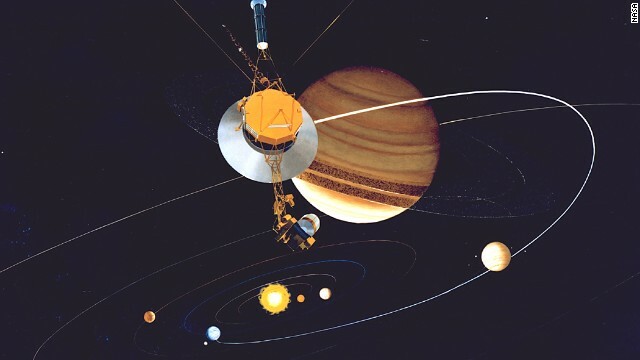 Of all the NASA missions, none has visited as many planets, rings and moons as the twin Voyager 1 and Voyager 2 spacecraft, which were launched in 1977. Voyager 1, now more than twice as distant as Pluto, is farther from Earth than any other object made by humans. (CNN) — Kepler is still on the beat. The NASA spacecraft, which is designed to seek out other worlds but hit a snag when parts failed last year, found another planet thanks to some nifty repurposing by the space agency and its partners, NASA confirmed Thursday. The recently found world is named HIP 116454b and has a diameter 2.5 times the size of Earth’s, said NASA in a press release. That would make it smaller than Neptune, the next-largest planet in our solar system. HIP 116454b orbits its star, which is in the direction of the constellation Pisces, in nine days and is too close to support life as we know it, the agency added. It’s 180 light-years away. But it adds another tidbit to our knowledge of the universe — something scientists didn’t think was possible when a part of the craft broke down last year. “Last summer, the possibility of a scientifically productive mission for Kepler after its reaction wheel failure in its extended mission was not part of the conversation,” said Paul Hertz, NASA’s astrophysics division director, in a statement. But scientists and engineers came up with a new strategy that uses pressure from sunlight to take the place of the failed reaction wheel, which helps point the spacecraft in the right direction. 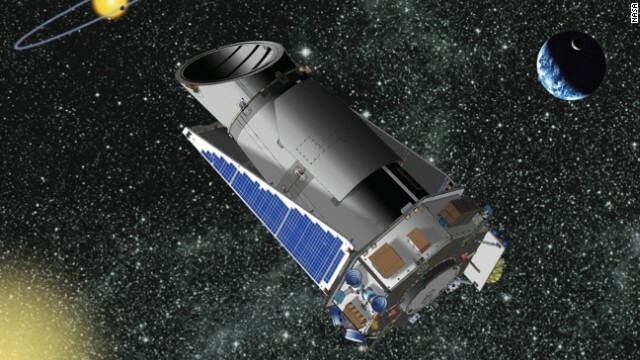 Kepler is now free to continue its mission, called K2 by NASA. “K2 is uniquely positioned to dramatically refine our understanding of these alien worlds and further define the boundary between rocky worlds like Earth and ice giants like Neptune,” said Kepler/K2 project scientist Steve Howell in NASA’s press release. Space-based solar power: Energy of the future?